"A South African chutney recipe. Serve with rice and a green salad if desired. Divine!" In a medium bowl, combine chutney and dry soup mix. Mix together. Season chicken pieces with salt and pepper to taste. 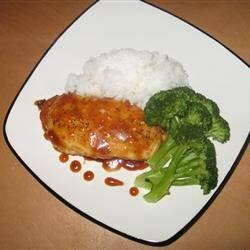 Place seasoned chicken pieces in a 9x13 inch baking dish and pour chutney mixture over chicken.